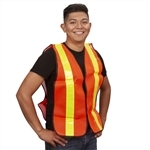 Outfit your employees with the personal protective clothing to stay safe from job injuries. 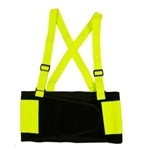 Industrial Safety Equipment, LLC has a variety of safety workwear and general industrial clothing that allows workers to do their jobs with safety in mind. 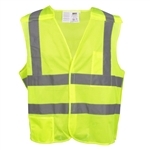 This includes Hi Vis clothing that increases visibility and protective clothing shielding the skin from chemicals, sharp objects and more. 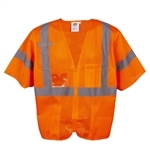 No matter what you’re looking for, we have a complete selection of industrial safety workwear for your workplace. 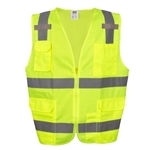 Industrial Safety Equipment, LLC carries personal protective clothing from manufacturers including Cordova, Radians, Majestic Glove, Elvex, OccuNomix and Dupont. 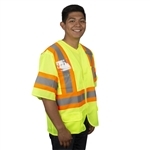 Our safety workwear includes Flame Resistant, Arc Flash rated, and Hi Vis clothing along with coveralls,vests, rain gear, and acid/chemical suits. 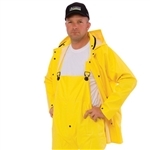 Whatever you’re looking for, rest assured that we carry quality, durable and long-lasting safety products. 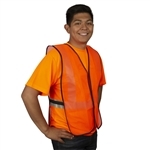 Cordova COR-BRITE ANSI Class 3 Mesh Safety Vest, Orange or Lime (V3000/V3001) .